Attorney KiKi M. Mosley graduated from Denison University in 2000 with a Bachelor’s degree in Sociology/Anthropology and Black Studies. After she completed her undergraduate studies at Denison University, Ms. Mosley worked for Orbitz.com on the Business Development team and then moved to Tanzania, East Africa where she taught at several schools over the course of three and a half years. Ms. Mosley’s interest in working in immigration law came from her own experiences in traversing the immigration system with members of her own family. Upon returning from Tanzania in 2007 Ms. Mosley entered law school. In 2010 Ms. Mosley graduated from Chicago-Kent College of Law with certificates in both International and Comparative Law and Public Interest Law. While at Chicago-Kent Ms. Mosley was a member of the Black Law Students Association (BLSA) and the Immigration Law Students Association (ILSA). She also worked in the Immigration Law Clinic while a second year student and clerked for an immigration law firm. Before starting her own immigration law practice Ms. Mosley worked as an associate attorney practicing immigration and nationality law. Ms. Mosley is licensed to practice law in both Illinois and Louisiana. Ms. Mosley is an active member of the American Immigration Lawyers Association (AILA) and serves as the Chicago chapter liaison to the Chicago Asylum Office. She is also a member of the Louisiana State Bar Association, the Illinois Bar Association where she sits on the International and Immigration Law and Human Rights Law Section Councils, and the Chicago Bar Association. Ms. Mosley has experience in working on a variety of immigration matters including, but not limited to: asylum, removal, family-based immigration, employment-based immigration, and naturalization. Ms. Mosley devotes approximately 10% of her practice to pro bono and volunteer work. Ruby C. Cintron joined the Law Offices of KiKi M. Mosley in May 2015. Ms. Cintron was born in San Juan, Puerto Rico and has spent most of her life in Chicago, Illinois. 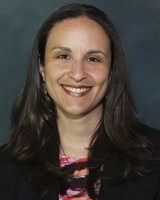 Initially hired to provide Spanish-language interpretation and translation services, Ms. Cintron has proven an invaluable addition to the practice. Her role has expanded to Legal Assistant to Ms. Mosley and Asst. Office Manager for the suite of attorneys in which Ms. Mosley’s practice is housed.